If you find yourself waking up congested with itchy eyes or coughing and sneezing frequently, you may not be suffering from the common cold. The culprit may be hidden in your home’s duct system. Even if you can’t see it, mold, mildew, and other unpleasant biological contaminants can decide to take up residence in your home’s HVAC system. Because your family spends most of their time indoors, especially in the winter, it is important to make sure that the air you are breathing is clean and fresh. One of the keys to good air quality is making sure there is no mold in your duct system. 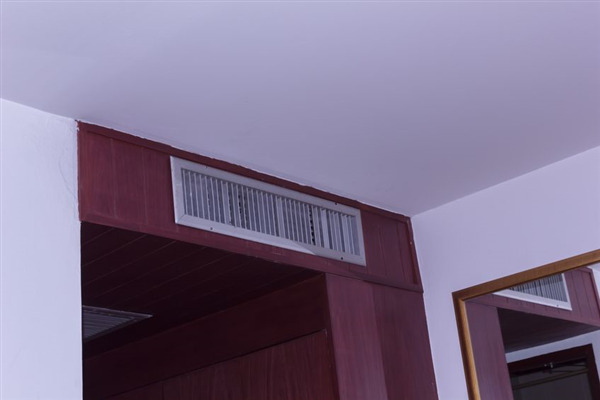 Our experts at Dust Doctors have put together this helpful guide to walk you through determining if there is mold in your home’s ductwork that needs to be removed. Mold is a biological organism which grows in a wide range of environments. It is a type of fungus that plays a vital role in the natural decomposition process. Mold consists of tiny spores which travel through the air and thrive in moisture-rich environments, especially dark, damp places. We inhale mold spores all the time with no adverse effects. It is only when this mold is allowed to thrive that it poses a threat to our health. When most of us think of mold, we imagine unpleasant black spots in the shower or growing on the basement wall. However, most of the time, mold is completely invisible to the naked eye. This means for many homeowners, it may seem like your home is free of mold or mildew when in reality this could be what is making them feel under the weather. Even if you and your family are not allergic to mold, it can still cause irritation to your respiratory system as well as to your skin and eyes. But for individuals who suffer from allergies or asthma, mold can cause dramatic health problems. To determine if mold is growing in your air vents, first follow your nose. If there is a musty or moldy smell near your air vents or in your home, you will more than likely have mold and mildew growing in your ducts. Next, check inside your vents with a flashlight for spotting or splotches of mold. Another sure sign is standing water or moisture. Remember that most mold is not easily spotted. Our mold removal experts use comprehensive HVAC cleaning to purify your air ducts, creating fresh air in your home so you can breathe easy. Our experts at Dust Doctors in Minnesota understand how important your family’s safety and health is to you. We offer mold remediation services and inspect your entire HVAC system for mold problems. From comprehensive HVAC cleaning to duct and vent cleaning, we’ve got your HVAC system covered. To learn more about how our duct cleaning experts can help your home’s heating and cooling system, call us at 651-319-9777, or contact our professional duct cleaners to learn more.